Some festive folks are already thinking about Christmas but us online casino enthusiasts still have a lot of reasons to hold on for the Halloween. 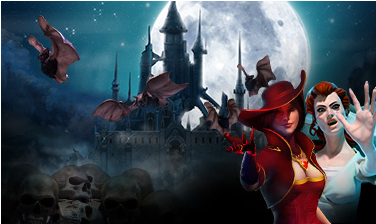 One of which is the amazing casino promos and bonus from our friendly UK web casino sites. Sure, the Halloween is a season to be scared, but this time, you’d be frightened for your lives if you miss to check out all these fabulous promos. Whether you’re looking for some reload bonuses, cash drops, cashbacks, huge cash prizes, or just the pure fun and excitement of playing your favourite online casino game, this week’s promo list will get you covered! No need to go out and dress up as your creepy alter-ego. We make sure you only get the best of the Halloween treats, and not the tricks! Ghoul times are coming for fans of the crazy slot machine games Blood Suckers and Blood Suckers 2. Huge cash prizes are to be shared among lucky players. To join, simply dare yourself to enter into any of the slot machine game. Play 20 consecutive rounds or more or get one of the top 10 spin streaks. A whopping £1,500 worth of cash is waiting to be ravaged. If you think you’re man enough to face these scary challenge but still don’t have a Royal Panda account, then make one through this link right here. Cash drops, reload bonuses, and cashback promos are all but the crazy things happening here at Codeta Casino. For two weeks, this friendly casino will be treating their patrons some copious amounts of ghastly online casino goodies which are only exclusive to them. Already happening is the Cash Drop promo where a total of £200 will randomly pop up into their Live Casino players’ account. The Reload Bonus, meanwhile, will surely get you into frenzy. 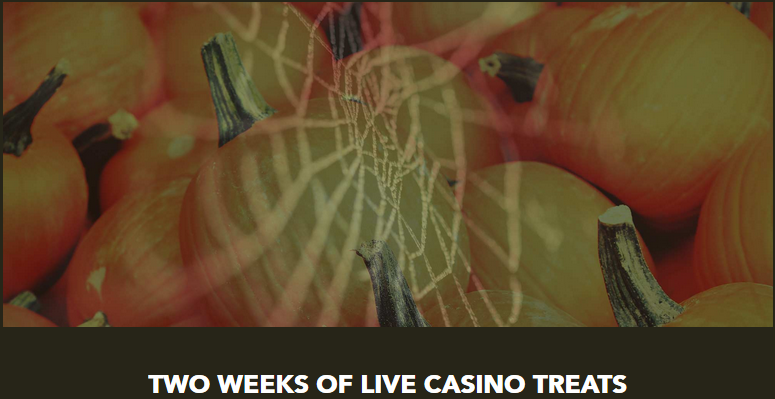 From Oct. 27 to the 29th, your minimum deposit of £20 will activate the Live Casino games reload bonus. From the last day of October up to the 5th of November, Codeta Casino will be giving their Live Casino players 20% Cashback for all their deposits. Three treats to make you go loco. Just treats and no tricks! Sign up for your account now! Roulette lovers better get ready! The dapper Mr. Green is coming back with his Lucky Roulette Numbers promo. It’s here where you can get as much as £20 cash going straight to your bankroll, every single day. From Oct. 23 to the 27th, all LIVE Roulette table players are invited to bet on the Lucky Number of the day. 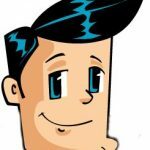 If your single number minimum bet get a hit, then Mr. Green will give an additional £20 in cash to your payroll. Looking to try your luck this week? Sign up for a Mr. Green Casino account today and find out for yourself how lucky your number can be! Next Next post: 3D Roulette: What Is It and Is It Worth Your Try?